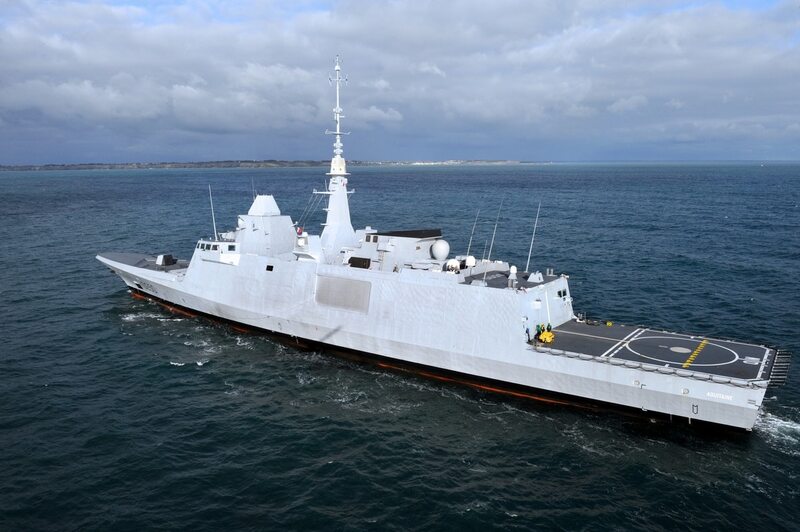 ROME and PARIS — A senior manager at Fincantieri has given the first official confirmation that the Italian shipyard will jointly bid to sell the FREMM frigate to Canada in partnership with France’s Naval Group. The team-up will be a first concrete step toward a possible merger, or joint venture, between Fincantieri and Naval Group, which is currently being discussed by the two firms and has been dubbed a “Naval Airbus“ for Europe. France and Italy jointly designed the FREMM frigate for use by their navies, but have hitherto marketed the vessel separately around the world. Fincantieri is currently shortlisted to sell the frigate to Australia, while France has sold one to Morocco and to Egypt. Talks to unite France and Italy’s shipbuilding capacity grew out of Fincantieri’s takeover this autumn of French yard STX. Fincantieri plans to create synergies between STX and its own yards in Italy in the civil cruise-ship sector. But the talks also spurred debate over naval tie-ups between Fincantieri and Naval Group, which would help reduce the fragmentation of Europe’s naval industry and allow it to compete more effectively around the world. As French and Italian officials begin a series of meetings to decide how to integrate the two nations’ naval industries, officials in Italy need to figure out what to do with Leonardo. The CEOs of Fincantieri and Naval Group, Giuseppe Bono and Hervé Guillou, are now due to be joined by two government officials from each country — yet to be officially named — to form a committee to discuss the plan. “A Steering Committee with representatives of all the reference players in the operation is currently being formed, and by June of next year it will present a detailed road map to manage the integration process,” Maestrini told analysts. “This agreement represents a game-changing opportunity for us, as well as presenting exciting challenges. It will grant even greater stability to our group, confirming the strength of our diversified business model, not least because it is based on a long-standing business relationship that has been over 15 years in the making,” he added. One obstacle to a joint Canadian bid is Fincantieri’s objections to the way the tender has been organized. Canada has asked private firm Irving to coordinate the work of the ship’s designer, leading to fears that the winning bidder would be forced to hand over too much intellectual property to Irving. Looking beyond the Canada bid, Maestrini said the FREMM frigate would be well-suited for another pending program. “We think it will also match perfectly the requirements put forward by the U.S. Navy in their recent request for design proposals for the Future Frigate Program,” he said. Meanwhile, the French and Italian companies are competing in foreign tenders for warships until a close cooperation deal is agreed upon. That could be seen with the Nov. 9 joint announcement by France and the United Arab Emirates that the UAE has picked Naval Group for negotiations for two Gowind corvettes and options for two more. Fincantieri was reported to be among the competitors, along with CMN and Damen. The United Arab Emirates has selected the Gowind corvette from Naval Group in a planned order for two warships and an option for two more, in a bid to boost the Gulf state’s naval capability, UAE and France announced.